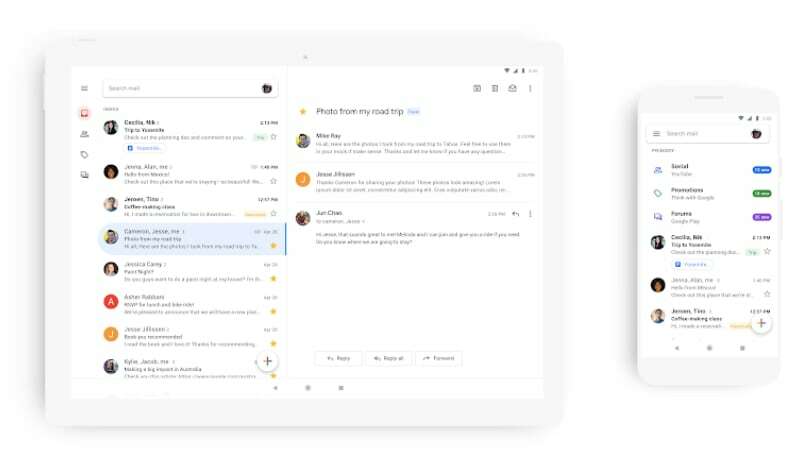 Gmail‘s new design is based on the Material Theme (previously known as Material Design language). Google is using the custom Google Sans font on the app. There are a few noticeable changes and probably the biggest of them all is the lack of the big red bar at the top. Overall, the app now looks quite cleaner with a lot of white-space. Notably, though, there is a no dark mode – something that may bug smartphone users. Google had back in November recommended app developers start deploying dark modes for reasons that included saving battery life on Android devices, thus it is surprising the company decided to skip out on it. 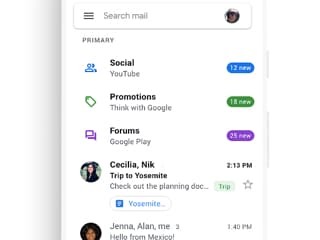 Notably, it brought both dark mode and Material Theme to its Android Messages in its redesign last year.